The clocks go back on Sunday, bringing darker evenings and heralding the start of winter. 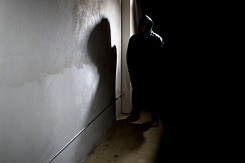 With the dark nights, along come the burglars – home burglary usually spikes by around 20% at this time of year and the day that you’re most likely to be burgled out of the whole year is 5th November when burglaries increase by 22%. It’s no coincidence that National Home Security Month takes place in October because this is exactly the time of year that you should be reviewing your home security and making sure you don’t become one of the statistics. Follow these 10 tips and you’re really doing your best to protect your home. Just remember that they will assess your property against others in the street and they’ll always choose the one that is least protected. This blog has been created for week 4 of National Home Security Month. You can see posts for week 1 (Burglary stats that may shock you), week 2 (Safe as Houses) and week 3 (Smart Home Security) as well as other items relating to the campaign. Week 5 is the final week of this campaign and will be themed ‘spooky season’ – a guide to preventing sneak thieves and distraction burglars at Halloween. You can get daily security stats via our Facebook and Twitter pages.